The Lausanne School refers to the Neoclassical school of economic thought following the ideas of Léon Walras and Vilfredo Pareto. The central feature of the Lausanne School was its development of general equilibrium theory and its application of mathematical formulations to economics, leading some to refer to them as the "Mathematical School." Although economic phenomena are necessarily complex, in fact beyond the ability of the mathematics available to Walras when he began the enterprise, the effort to analyze and thus predict changes in the economic realm accurately is one that has a noble purpose. For if the forces that drive the economy can be better understood, then a society and its members can prosper. However, it may well be that even the most advanced mathematical models are inadequate to predict economic change, and thus to permit effective regulation of the economy. The factors that govern economic transactions go far beyond the financial and material, involving social factors that are even more difficult, if not impossible, to quantify or predict. Nevertheless, the development of mathematical economics, which owes its foundation to the Lausanne school, has advanced human knowledge regarding economic phenomena even though this understanding is incomplete. Amartya Sen (1987) argued that economics sprang from two different origins, both related to politics, but in different ways. The first origin, which Sen calls the "ethical" approach, goes back at least to Aristotle. It relates economics to human ends and social achievement. The second, which he calls the "engineering" approach, is concerned primarily with logistical issues. It derives in part from technique-oriented analyses of statecraft, and in part from analyses of technical problems connected with the functioning of markets. Sen regarded Adam Smith as a major protagonist of the first approach, and Léon Walras as a major protagonist of the second (Sen 1987). From the historical point of view, mathematical methods have always played a some part in economic consideration. A. A. Cournot, in 1838, used mathematical expressions of correlations between demand, supply, prices, costs, and incomes under different competitive conditions and degrees of monopolization. This was a pioneering effort in the so-called formalistic revolution in economics, that is a precursor of the general application of mathematics to the analysis of economic phenomena. Acknowledged as a great mathematician, Cournot in a way anticipated Léon Walras’ ideas. Embracing correlations, he claimed that in order to fully and rigorously analyze problems concerning parts of an economic system, it is necessary to take into consideration the entire system. However, Cournot did not continue to apply mathematical analysis to correlations of the overall equilibrium of the whole system, which would have required numerous assumptions. Cournot might have felt that mathematical analysis was not adequately developed at the time to be applied to economics in this way. As a result, this first step was taken by Walras and the Lausanne School, who modeled a system of overall equilibrium through a clear and concise formal description with the use of mathematical notation. Of the two leading members of the Lausanne school, Walras was mainly interested in the overall equilibrium of goods on the market, with the assumption that an economy possessed self-driving mechanisms that could restore equilibrium when the system was upset by external stimuli (such as changes in technology or consumer tastes). Walras focused on the exchangeability of economic goods. He studied the relations between demand and supply given a price that ensured their equality and led to equilibrium. He believed that, since those relations concerned quantities, they were best presented through mathematical equations. Knowing parameters such as consumer tastes or production technology, it is possible to mathematically establish optimum quantitative proportions among respective elements of economy, and thus determine economic equilibrium. What takes place spontaneously through trial-and-error adjustment processes can be calculated with the use of algorithms, provided that as many equations can be created as there are unknowns (Zalewska 2002). Pareto’s contribution consisted mainly of extending the application of mathematical methods, developing the concept of overall equilibrium, and in reformulating the idea of usefulness. He observed that usefulness is a relative value (which is more useful—one or two glasses of water?—the answer depends on such factors as whether one is thirsty or not and whether it is warm or cold). Thus, he parted with the theory of measurability of usefulness (which underlined previous thinking in the Lausanne School) and developed the theory of choices. Pareto used the notion of indifference curves, formulated by Edgeworth, which visualized the scale of consumer preferences in relation to a given pair of goods. A consumer can acquire those goods in different quantitative combinations. As a result, when satisfying one’s tastes, one makes choices according to a preferences scale which, as Pareto initially believed, is statistically estimable. Various indifference curves bring together all the possible combinations representing the same level of needs satisfaction (Zalewska 2002). In Walras' and Pareto's time the Lausanne School was not very successful beyond a small group of their followers. England was dominated by Marshallian though, and opposition by the German Historical School and its French equivalent kept their ideas from penetrating much of Continental Europe. They also had problems of language which prevented their acceptance in the United States. Their work was mostly written in French or Italian, left largely untranslated and published in relatively obscure journals. Few economists outside of Italy came across their writings and, when they did, the mathematical language ensured that most could make little sense of them. As noted, the two leading members of the Lausanne School were Léon Walras and Vilfredo Pareto. A few highly-talented economists with mathematical aptitude joined them, further developing and promoting their ideas. Léon Walras (1834-1910) suffered many disappointments in his career, particularly in his native France. He failed to satisfy the admissions board of the Ecole Polytechnique of his competence in mathematics, and spent more than a decade as a journalist, aspiring novelist, railway clerk, and bank employee. Meanwhile, in his leisure time he studied economics. Lacking the proper credentials, though, he was unable to break into the French academic establishment. Fortunately, in 1870, he was appointed to the newly created chair in economics in the Faculty of Law at the University of Lausanne, Switzerland. There, Walras transformed economics from a literary discipline into a mathematical, deterministic science. Separately, but almost simultaneously with William Stanley Jevons and Carl Menger, Walras developed the idea of marginal utility, but his greatest contribution was in what is now called general equilibrium theory. Walras expressed rigorously the view that all markets are related, and that their relationships can be described and analyzed mathematically. These interrelated markets tend toward a "general equilibrium" position, undergoing a constant interactive adjustment process that Walras called a "tatonnement" (Walras 1874). This conception of economics led to important new insights about the stability of markets and about the capitalist economic system. How could these economists prove that the results of free competition were beneficial and advantageous if they did not know just what these results were? … And how could they know these results when they had neither framed definitions nor formulated relevant laws to prove their point? … The fact that economists have often extended the principle of free competition beyond the limits of its true applicability is proof positive that the principle has not been demonstrated (Walras 1954). [N]eoclassical theory is often taken to represent, in one way or another, a market process … but we have also seen that science describes, not a process, but the ideal ends of action (Koppl 1995). However, one of the most powerful reasons why the Walrasian system has survived for so long is the comprehensiveness of its categories. These categories outlived many of the details of the mathematics. Positive, normative, and applied; static and dynamic (the latter added later); supply and demand; exchange and production; one-period or intertemporal; micro (without money) and macro (with money); perfect and imperfect competition—all these exist in some form in Walras' Elements (Walras 1874). The system has come under attack, but the categories are already there; they can be arranged in an orderly fashion, and they transcend the mathematics and the ideology. 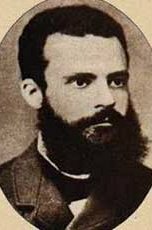 Vilfredo Pareto (1848-1923), a follower of Walras, viewed economics as part of the broader science of sociology, extending Walrasian analysis to say that society at large is an equilibrium system. This view profoundly influenced the modern course of the "social sciences," in which quantitative techniques have become standard analytical tools. Pareto (1896, 1906) constructed a consumer theory which does not require the notion of utility. His point of departure is that an individual confronted with two baskets of commodities will always either prefer one basket or be indifferent as to which one he gets. Given this faculty of binary choice, Pareto reasoned that, by asking the individual to choose between M and every other possible basket, we can determine an indifference curve—a curve that represents the loci of all baskets “indifferent” in relation to M. The procedure does not refer in any way to utility. Once the indifference curves are determined, they help determine the optimal distribution of any budget in exactly the same manner as utility isolines (a utility isoline being the loci of all combinations of items that have the same utility). In fact, this solution was first formulated in 1886 in a neglected memoir of an Italian engineer, Giovanni B. Antonelli (1858-1944), another member of the Lausanne School. And, as happens quite often, the glory went to the more famous rediscoverer of the idea, in this case to Pareto. In 1906, Pareto created a mathematical formula to describe the unequal distribution of wealth in his country, observing that twenty percent of the people owned eighty percent of the wealth (Wicksteed 1906). In the late 1940s, Joseph M. Juran extended this to state that, for many events, roughly 80 percent of the effects come from 20 percent of the causes. Juran named it the Pareto Principle after Pareto (Bunkley 2008). 80 percent of revenue comes from 20 percent of the products; 80 percent of people in an organization are influenced by the other 20 percent; 80 percent of perceived customer value comes from 20 percent of the things offered; 80 percent of profit comes from 20 percent of sales. 80 percent of famine, disease, and poverty can be found in 20 percent of the world's countries; 80 percent of accidents are caused by 20 percent of drivers; 80 percent of crime is committed by 20 percent of criminals. 80 percent of speech contains 20 percent of the words available in the language; 80 percent of the time individuals wear 20 percent of the clothes they own; 80 percent of happiness comes from 20 percent of one's life! Pasquale Boninsegni (1869–1939), was one of Pareto’s pupils and his successor at the University of Lausanne. He was born in Rimini, Italy, and studied mathematics at the University of Turin. A member of the Italian socialist party, he was editor of an anticlerical revue L’Asino. Indicted for defamation, and concurrently having political problems with Italian authorities, he moved to Lausanne and joined Pareto as his assistant. Later, in 1907, after Pareto retired, Boninsegni became a full professor at the faculty of political economics of the University of Lausanne. From 1928 to 1938 he served as president of the school of political and social sciences there. His works concerned political economy (Boninsegni 1930) as well as continuing with Pareto’s theories. In fact, many who disagreed with Pareto’s work but were afraid to attack him directly, criticized Enrico Barone, Luigi Amoroso, and Pasquale Boninsegni for following Pareto much too closely. An Italian economist and dedicated follower of Walras and Pareto, Enrico Barone (1859-1924) was instrumental in convincing Walras to incorporate variable production techniques—and, by extension, marginal productivity theory—into his economic system. Barone's most famous contribution, however, was in starting the "Socialist Calculation" debate with his famous 1908 article. His position, later taken up by Oskar R. Lange, was that it was indeed possible in a collectivist state for a planning agency to calculate prices in order to achieve maximum efficiency. But he did not think it could do "better" than a capitalist economy. Barone was also a capable public finance economist. His 1912 article (Barone 1912) was the first to apply indifference curve analysis to compare the relative burdens of income taxes and excise taxes. He was also an articulate opponent of progressive taxation schemes as they rested on what he considered highly dubious utilitarian calculations. Henry Ludwell Moore (1869-1958) was a student of Carl Menger's in Vienna and an early disciple of Léon Walras. Moore can rightly be considered the only American (and perhaps the only English-speaking) member of the original Lausanne School. Moore's life-long work was one of the first serious empirical examinations of the Marginalist Revolution in general, and Walras' system in particular. He dedicated himself to the statistical derivation of demand curves (a task carried on by his student, Henry Schultz), and the statistical test of John Bates Clark's marginal productivity theory. Moore also delved into the connection between commodity business cycles and equilibrium theory—thereby performing one of the earliest empirical examinations of the business cycle in a general equilibrium theory context. His major contribution to business statistics is, however, his “percentage changes (growth rates)” transformation used instead of absolute values in multiple correlation models (Moore 1917, 1967). This transformation: (1) Exposes the “nonsense correlation” between any two monotonically increasing time series, (2) changes the resulting regression coefficients into much more useful elasticity coefficients, (3) gives the analyst a chance to upgrade the incomplete series by using “instrumental” variables as (4) the “percentage differences” data-base is virtually dimensionless (Karasek et al 1987, 33-43). Walras’ and Pareto’s social and economic ideas greatly influenced the viewpoint of other economists. For Walras, the equations of his general equilibrium theory do not represent any market process. This system represents "free competition," which is an ideal end state, not a process. Moreover, in spite of his name for it, "free competition" does not necessarily describe a situation in which individuals are free to buy and sell as they please. The free competition Walras envisioned was consistent with almost any degree of government regulation and control (Koppl 1995). Although Walras' system was frustrating in some ways, such as its ambiguity regarding the nature of government control over the economy, his work laid the foundation for mathematical economics. Historian of economic thought Joseph Schumpeter described him as "the greatest of all economists," calling the system of equations set out in Walras’ Elements "the Magna Carta of Economics" (Schumpeter 1954). The most distinctive aspect of Pareto's work was the new Welfare Economics of the late 1930s, which sought to connect criteria for "efficiency" to competitive equilibria. The first step towards this was the "marginal cost pricing" principle introduced by Abba Lerner (1934) and Harold Hotelling (1932, 1938). The Fundamental Welfare Theorems were demonstrated graphically by Abba Lerner (1934) and then proved mathematically by Oskar Lange (1942) and Maurice Allais (1943). Abba Lerner (1936) and Oskar Lange (1938) went on to use the results on Paretian efficiency to pursue the case for economic planning and market socialism in the Socialist Calculation debate with the Austrian School regarding how to distribute resources rationally in an economy. The capitalist solution is the price mechanism: Mises and Hayek argued that this is the only possible solution, and without the information provided by market prices socialism lacks a method to rationally allocate resources. Those who agreed with this criticism argued it is a refutation of socialism and that it shows that a socialist planned economy could never work. The Lausanne school, on the other hand, argued that the information could be calculated mathematically, allowing economic planning to be effective. The “mathematicians” considered only static equilibrium (without changes in productivity and new products that consumers might prefer) and thus also omitted all feed-back as to how consumers' priorities change, information that producers received and based upon which they changed quality and quantity of production as well as prices. The model of “perfect competition” that is the core of neoclassical welfare economics was also seen by the Austrians as a misleading description of what actually occurs in a market economy: "The concept of equilibrium presupposes that the facts have already all been discovered and competition therefore has ceased" (Hayek 1978, 259). In the first place, a purely mechanical process model that has no room for choice, the subjectivism of expectations, and the interpretation of information, would be no improvement at all on general equilibrium. Secondly, different markets evolve different institutions which influence the sequence of events in them. Hence, the market process assumes different forms in different markets, such as auctions for example. Care must be taken to study these variations (Lachmann 1979, 6). In the post-World War II period, the ideas of Walras and Pareto had re-emerged in the English-speaking world, and a "Neo-Walrasian" school under the auspices of the Cowles Commission for Research in Economics (later the Cowles Foundation at Yale University) merged their traditions. The economists who joined the Cowles Commission were armed with a new arsenal of mathematical formulations such as convex analysis, and again focused on general equilibrium theory, continuing the efforts of the Lausanne school to create mathematical models of economic phenomena and thus be able to predict and effectively maintain the health of the economy. However, general demand and supply equilibrium cannot serve as a "center of gravity" (a Walras-Pareto term), a source of permanent forces of constant strength as, under the impact of innovation, technical progress, and changes in consumer preferences, relative demand and supply of various commodities are continuously changing. A planet whose composition and mass are undergoing continuous transformation could not exert a gravitational force of constant strength. How can it be asserted that economic equilibrium forces, necessarily of varying strength over time, will always overwhelm and outlast all other forces (Lachmann 1979, 7). Barber, William J. 1977. A History of Economic Thought. Penguin. ISBN 0140136908. Barone, Enrico. 1935. "The Ministry of Production in the Collectivist State." In Friedrich A. Hayek, (ed.). Collectivist Economic Planning. London: Routledge. OCLC 152557870. Barone, Enrico. 1912. Studi di economia finanziaria. Giornale degli Economisti. Boninsegni, Pasquale. 1930. Manuel élémentaire d'économie politique. Paris: Pichon et Durand-Auzias. Bunkley, Nick. 2008. Joseph Juran, 103, Pioneer in Quality Control, Dies. New York Times. March 3, 2008. Retrieved January 5, 2009. Hayek, F. A. 1984. "Competition as a discovery procedure." In Chiaki Nishiyama and Kurt Leube (eds.). The Essence of Hayek. Stanford, CA: Hoover Institution Press. ISBN 0817980121. Karasek, Mirek, Waddah Alem, and Wasfy B. Iskander. 1987. Socio-Economic Modelling and Forecasting in Developing Countries. Sussex, England: The Book Guild Ltd. ISBN 0863322204. Koppl, Roger. 1995. The Walras Paradox. Eastern Economic Journal. 21(1): 43-55. Lachmann, Ludwig M. 1979. On the Recent Controversy Concerning Equilibration. The Austrian Economics Newsletter. Fall: 6-7. Mirowski, Philip. 1987. Shall I compare thee to a Minkowski-Ricardo-Leontief-Metzler matrix of the Mosak-Hicks type? Rhetoric, mathematics and the nature of neoclassical theory. Economics and Philosophy 3: 67-96. Moore, Ludwell, H.  1967. Forecasting the Yield and the Price of Cotton. New York, NY: A.M. Kelly. OCLC 425830. Pareto, V. 1896-1897. Cours d'économie politique professé à l'université de Lausanne. 3 volumes. Pareto, Vilfredo. 1897. The new theories of economics. Journal of Political Economy. Pareto, Vilfredo. 1903. "Anwendungen der Mathematik auf Nationalökonomie" in Encyklopödie der Mathematischen Wissenschaften. Pareto, Vilfredo. 1971. Manual of Political Economy. (Italian; French trans., 1909, English trans., 1971). Augustus M. Kelley, Publishers. ISBN 0678008817. Sen, Amartya K., 1987. On Ethics and Economics. Oxford: Basil Blackwell. ISBN 0631154949. Walras, Léon. 1874. Principe d'une théorie mathématique de l'échang. Journal des Economistes. Walras, Léon. 1984. Éléments d'économie politique pure, ou théorie de la richesse sociale. (Elements of Pure Economics, or the Theory of Social Wealth). Orion Editions. ISBN 0879912537. Walras, Léon. 1876. Un nuovo ramo della matematica. Dell' applicazione delle matematiche all' economia poliitca. Giornale degli economisti. Wicksteed, Philip H. 1906. Review of Pareto's Manuale di Economia Politica. Economic Journal 16(64): 553-557. Zalewska, Anna. 2002. From the genealogy of mathematical economics: Walras, Pareto and Lange. Studies in Logic, Grammar and Rhetoric 5 (18). This page was last modified on 25 July 2014, at 17:21.